Access to consistent and safe drinking water is arguably the biggest challenge facing humanity. That’s especially true in Africa where the clean water shortage in many of the countries is getting worse. In Cape Town, South Africa, the crisis is called “Day Zero,” the day the taps run dry. John Kevern, University of Missouri-Kansas City associate professor of civil engineering, has been working alongside graduate students from the University of the Western Cape to help find a feasible solution for the crisis. For more than 30 years, the University of Missouri South African Education Program has delivered on the goal of aiding South Africans disadvantaged by their government’s former apartheid policies. Since 1986, the University of Missouri System has partnered with the University of the Western Cape in Cape Town, South Africa to advance mutual understanding between the institutions’ faculties and foster cooperative teaching, research and service projects. 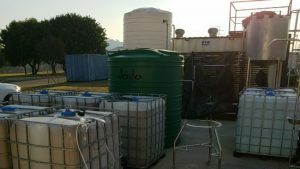 Water scarcity, or lack of safe drinking water, in South Africa is the result of multiple factors including climate change, growing population, and heavy metal contamination from abandoned mines. 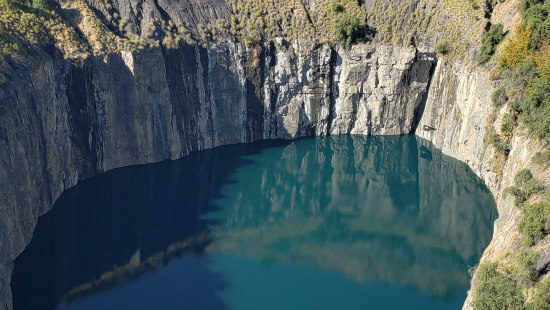 Kevern said the South African Department of Mineral Resources holds a list of 6,000 neglected mines filling with water and causing acid-mine drainage: the outflow of acidic water from metal or coal mines. Kevern, a renowned expert in all things concrete, has worked with several other countries on the African continent, including Kenya and Ghana, to help solve waste issues. His passion for making a difference through resource and information sharing drives much of his willingness to work with disadvantaged communities. Kevern and his team discovered that by using waste fly ash, a byproduct of coal combustion, from two regional power plants, they can neutralize the acid mine drainage and help generate more clean water for the country. The chemical composition of fly ash makes it a common—and cost effective—ingredient in treating acid mine water. “In the Johannesburg area, with 10 million residents, at least 15 percent of the population lives in informal settlements, with many placed by former apartheid government near or even on top of these dumps. At Blyvooruitzicht, about 11,000 people live around the abandoned mine, many of them unemployed miners unable to afford housing elsewhere. When fly ash is inserted into the mine and mixes with acid water it creates a hard, non-porous material. That helps prevent any additional oxygen and water from getting into the mine and causing further pollution. Kevern spent much of the summer working at coal mines on the east side of the country, but UWC is on the west side so he and graduate student Rosicky Kalombe embarked on a cross-country road trip to collect coal to create fly ash. Traveling across South Africa was a new experience for both Kevern and Kalombe, who migrated to South Africa as a Congolese refugee. 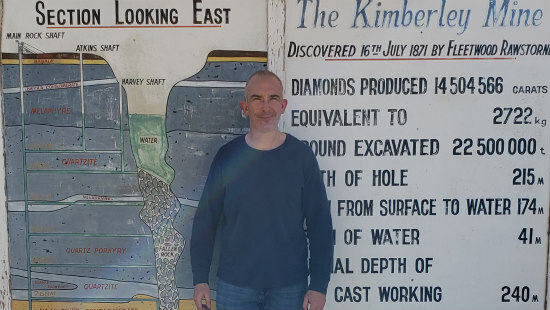 They got to see the wealth of the country and made a pit stop along the way to see one of the world’s largest hand-dug excavations – The Big Hole in Kimberley, South Africa. 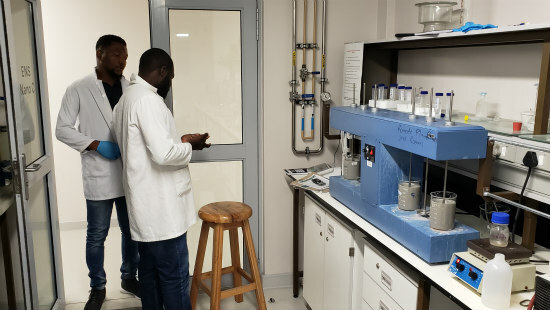 Since Kevern has been back in the states, he has been working remotely with Western Cape students who are continuing to conduct full-scale filter testing in the lab. The neutralization process, Kevern said, is fairly mature. The team’s next steps are to figure out what to do with the excess waste. Their idea is to use the waste to make a cost-effective geopolymer to fill the mine and prevent drainage from reoccurring. The team will pilot the project this winter. If the project goes as planned, they hope to implement this solution across the continent. That means two things for Africa: more jobs for students and increased access to clean water. Hear more about Kevern’s summer in South Africa on KCUR’s Central Standard. Tags: School of Computing and Engineering.